On Wednesday, January 13, 2016 (the ides of January! 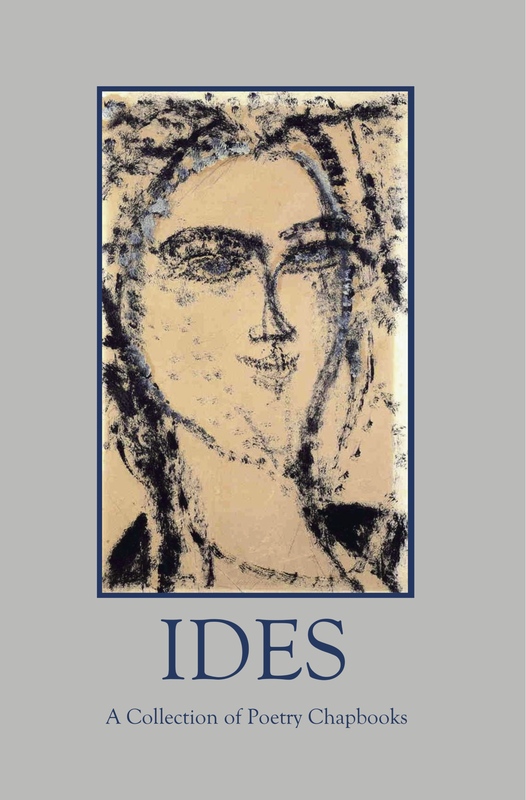 ), poets featured in IDES: A Collection of Poetry Chapbooks will read from their work at The Ugly Mug in Orange, California. All poetry lovers welcome! Please join poets Robin Dawn Hudechek, Daniel McGinn, Daniel Romo, and Thomas R. Thomas as they read from their chapbooks included in the 288-page collection. WHEN: Wednesday, January 13, 2016, 8-10 p.m.
Robin Dawn Hudechek received her MFA in creative writing, poetry from UCI. Her poems have appeared in numerous publications including Caliban, Cream City Review,Blue Arc West: An Anthology of California Poets, Cadence Collective, Hedgerow: a journal of small poems, Silver Birch Press, Right Hand Pointing, and work forthcoming in Chiron Review. She lives in Laguna Beach, California, with her husband Manny and two beautiful cats, Ashley and Misty. Find more of her poetry at robindawnh.wordpress.com. DANIEL McGINN has been active in the SoCal poetry scene since 1995. He’s written about poets and poetry for Next Magazine and the OC Weekly. He’s taught workshops for Half-Off Books in Whittier, The Lab in Long Beach, and the Orange County Rescue Mission. Daniel has an MFA in writing from Vermont College of Fine Arts. His book, 1000 Black Umbrellas, was published by Write Bloody. Daniel, his wife, the poet Lori McGinn, and their poodle, Pearl Le Girl, are natives of Whittier, California. DANIEL ROMO is the author of Romancing Gravity (Silver Birch Press, 2013) and When Kerosene’s Involved (Mojave River Press, 2014). His poetry and photography can be found in The Los Angeles Review, Gargoyle, MiPOesias, Yemassee, and elsewhere. THOMAS R. THOMAS publishes the small press Arroyo Seco Press. Publications include Carnival, Pipe Dream, Bank Heavy Press, Chiron Review, Electric Windmill, Marco Polo, and Silver Birch Press. His books are Scorpio (Carnival), Five Lines (World Parade Books), and the art of invisibility (Dark Heart Press). His website is thomasrthomas.org. Find IDES: A Collection of Poetry Chapbooks at Amazon.com. As art, we’ve selected paintings by Amedeo Modigliani (1884-1920)—primarily work he created in his prolific year of 1915. A century later, we celebrate him as a visionary artist who accomplished much in his very short life. A special thank you to the poets whose work appears in these pages. We applaud your dedication to the art and craft of poetry. COVER: “Woman’s Head” by Amedeo Modigliani (1915).